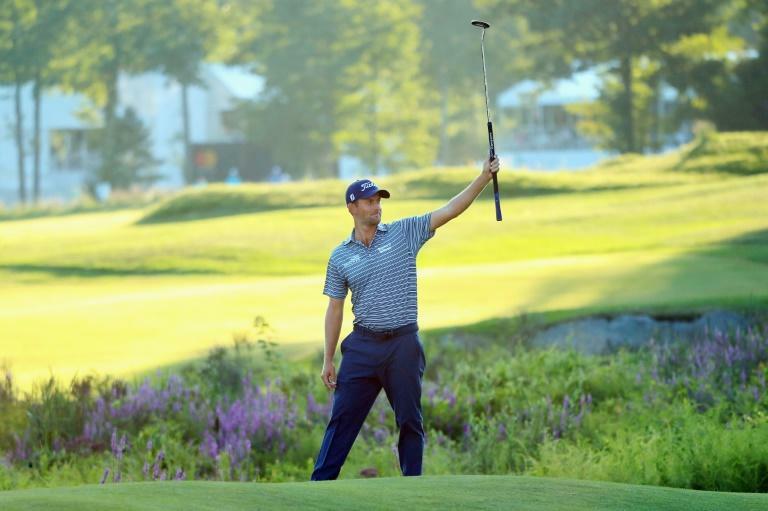 Webb Simpson closed with an eagle from 70 feet to seize a one-stroke lead over England's Justin Rose and Tyrrell Hatton after Saturday's second round of the PGA Dell Technologies Championship. 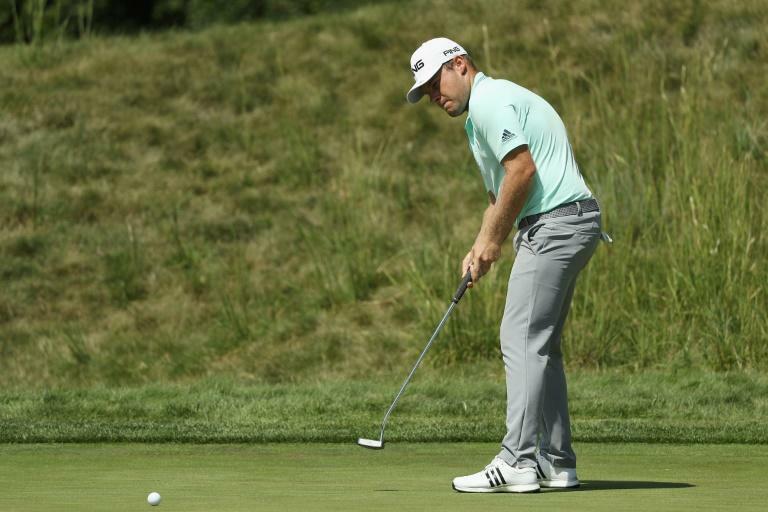 The 33-year-old American, seeking his second title in seven seasons at TPC Boston, rolled in his dramatic third shot at the par-5 18th to complete a bogey-free eight-under par 63 to stand on 11-under 131 after 36 holes. "To eagle the last was exciting and you just kind of laugh at those, because you're not trying to make them, you're just trying to get them close," Simpson said. "Those moments are always fun on the last hole. Honestly, it brings back 2011, making a couple of putts when I won. Just a great atmosphere out there." Hatton, who also fired a 63, was level with Rose, who shot 67, on 132 with England's Tommy Fleetwood fourth on 134 and Australia's Cameron Smith and Mexican Abraham Ancer another stroke adrift. Simpson, who birdied the first playoff hole in 2011 at TPC Boston to beat Chez Reavie and collect his second PGA title, also fired a 63 in the second round of the Players Championship in May on his way to winning his fifth career PGA title. World number 17 Simpson was the last of eight qualifiers on points for a spot on the US Ryder Cup squad that will defend the trophy against Europe later this month in France. Battling the top English trio for victory could be a taste of the Ryder Cup showdown coming September 28-30 at Le Golf National. 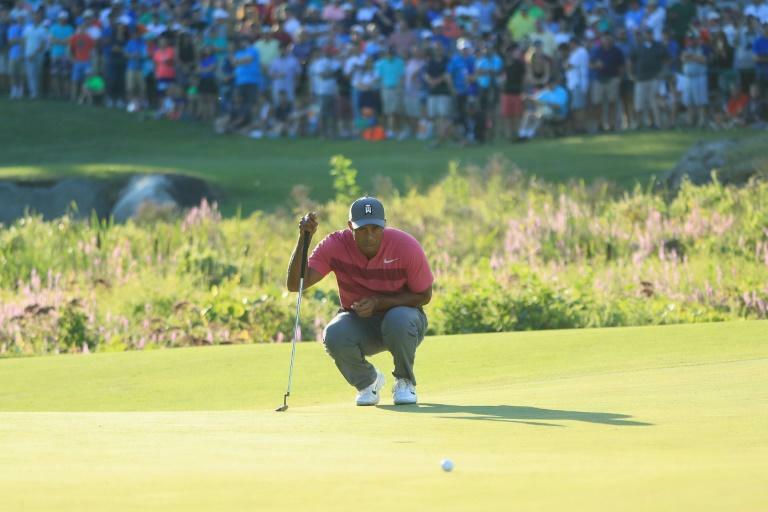 Since clinching his spot at the PGA Championship, Simpson has finished second at Greensboro and shot a final-round 62 last week in New Jersey, a sign he hopes of more success to come. "I don't want to just have a couple of good years and have it go away for two years," Simpson said. "There are a few guys that are always top-10 in the world. I want to do that." Hatton uses a putter his Scottish-born caddie, Mark Crane, bought last week in New Jersey. Hatton supervised the purchase by social media, admitting he was embarrassed to visit a sports store. "Mark was in store buying it and I was on 'What's App', a video, with him, because I was too embarrassed to go into the store to buy a putter," Hatton said. "He made a good choice. But it's just one of those things. It's not obviously normal that this happens." "It was a story today of a few more putts dropping," he said. "I holed a few putts and that's it. I think I had five or six lip-outs yesterday. The game is about making a score and today I did it better than yesterday." Tiger Woods was confident after a bogey-free 66 to share 21st on 138. His five birdies included a 25-foot gem of a putt at the 14th. "Absolutely, I played well," Woods said. "I hit it well. I really rolled it on my lines. A couple didn't go in, but it was a good solid day all around." Phil Mickelson, expected to join Woods in being named Tuesday to the US Ryder Cup squad by captain Jim Furyk, fired a 72 to make the cut on the number. Missing the cut by a shot was England's Ian Poutler, who is expected to be named a European captain's pick by Thomas Bjorn on Wednesday. But he is in jeopardy of missing the top-60 season points cutoff for next week's US PGA playoff event, the BMW Championship.